I'm am SO EXCITED to tell you about an incredible project I'm taking part in later this week! 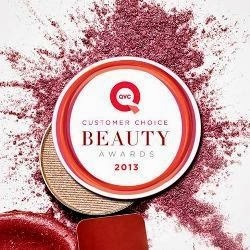 If you're a fan of beauty, chances are you've heard about QVC's annual Customer Choice Beauty Awards. Well... I'm going to have a role in the awards show this year! I'll be appearing on air and online throughout the show-- keep reading for the details! 9pm EST: Customer Choice Beauty Awards Begins on QVC - I'll also be on QVC (on TV) at this time, introducing Behind the Beauty! 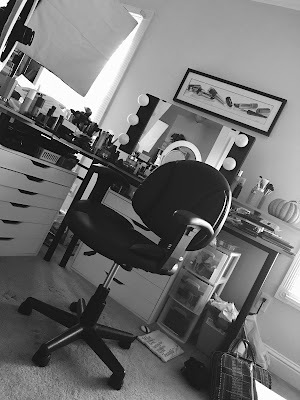 9:30 to 11:30pm EST: Behind the Beauty webcast! I'll spend 2 full hours (LIVE) with the leaders in the beauty industry! Check QVC.com at this time for the link to the webcast! If I get a specific link sometime this week, I'll insert it here. Midnight EST: I'll be back on QVC (on TV) at the end of the beauty awards to wrap up with the host! Here's a pic from my first visit to QVC when we shot the Fall into Beauty videos! Can't wait to go back for the Customer Choice Beauty Awards, which I typically watch every year at home on the couch! 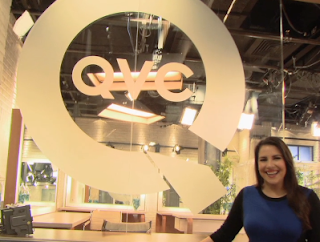 :) Now I'll actually be in QVC's studio chatting with the people I've watched for years! Unbelievable. Can you tell I'm excited?! Any tips to keep me from being too star-struck? I hope you'll tune in for the on-air show to see who wins the awards, as well as the webcast for the inside scoop! :) It's going to be an unforgettable night! Congratualtions! That's so fantastic - you really do deserve this so much! Have a great time & enjoy this amazing experience! OMG...I bet you are pinching yourself right now! How exciting! I hope I can catch a few minutes of your web show...I usually have to bed in be early (I get up early for work), but I can't miss this. WooHoo!!! What an incredible experience! Go Emily! Congrats!!!! can't wait to watch!!!! 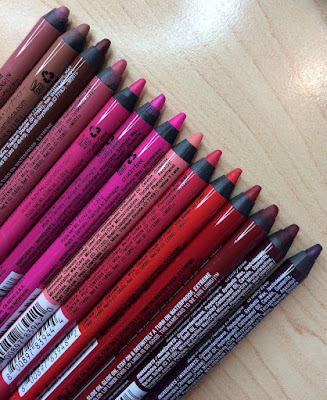 You should ask when they first had an interest into beauty and make up products? So happy for you Emily! You're perfect for an experience like this one. Congrats! I'm looking forward to watching! Oh My, Emily! My fiery russian heart is overflown with love and happiness for you! This is going to be a great show, I'm sure!!! Whoa! How freaking incredible is that!?!?! I will definitely be watching and tweeting. Congratulations on this incredible opportunity! It could not have happened to a nicer, more deserving person. Good Luck!! Very Cool & Exciting! Congrats! Can't wait to watch the show & will be setting my DVR. Looking forward to Thursday! Yay! Hi Elizabeth, I'm watching from Mexico too, do you know how or if we will be able to watch Emily live on QVC? Hi Cris - I'm Jessica from QVC. You can watch Emily live during the webcast from 9:30-11:30pm ET here: http://qvc.co/EmilyNoel83-CCBA. Enjoy! Omg congrats emily! that is soooo exciting!!!! OMG this is wonderful! You have such a great on-air sound, etc, and I love your enthusiasm for what you do. Your warmness always shines through, and QVC must think so too! Congrats! I will be watching! Congrats! I'll make a point took tune in. Congratulations Emily!!!! I can't wait to watch! I'll be watching. I'd be interested in knowing what the inspiration was for each product that wins. Watching QVC right this moment (the Beauty Awards just started), and I got so excited when I saw you onscreen! I hit my husband's arm and said, "Look! It's Emily!". You look fantastic, girl! Somehow I missed this blog post and I was just tuning in to the start of the show last night and I about jumped off of my couch. I shouted out--"What?!! That's Emily!" My husband said,"Who?" I had to explain to him that I have been watching you on YouTube. I was so excited to see you on QVC for the Beauty Awards. They seem to run a top-notch production there. What a great opportunity for you!!!!! Go Emily. That's awesome. I'll be watching. I am so excited you're getting this opportunity! I don't watch QVC anymore so won't be seeing it. I know you were great though! OMG I am super bummed & sad that I missed this!!! Where was I?! Is there anyway we can watch Behind the Beauty now? Id love to see it! Thanks for any infoyou can give me!